recreates the eruption of Mt. 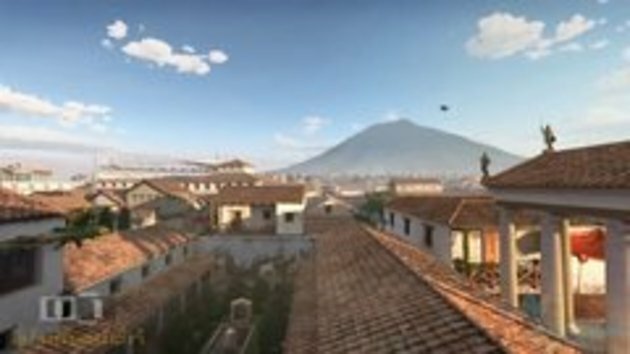 Vesuvius and the destruction of Pompeii. You can witness the eruption of a volcano of over 2000+ years ago. this should be called.. "When earth sharts.."
I use to think it happend all in a sudden, where people were surprised. They were caught sleeping and running. This was a very obious eruption coming. "nevertheless, 600,000 people live in the 18 towns at its base that comprise the "red zone." "new research has shown that the mountain probably will not act as kindly next time. for starters, mount vesuvius sits on top of a layer of magma deep in the earth that measures 154 square miles (400 square kilometers)"
I also thought it had been a sudden eruption with no time to act. I still wonder if people left the city before it became impossible or if they thought the conditions would improve soon and stayed put. Seems like animals were sensing something early on and already alerting in the morning on that fateful day. The animation as seen from a webcam was excellent, really gives us an idea what it must have been like. #6 I'm glad you clarified that for me, dear JJ! Actually it was 79 AD not BC. In 62 AD there were severe eathquakes which damaged Herculaneum and Pompeji. They were most probably caused by Vesuv, too.